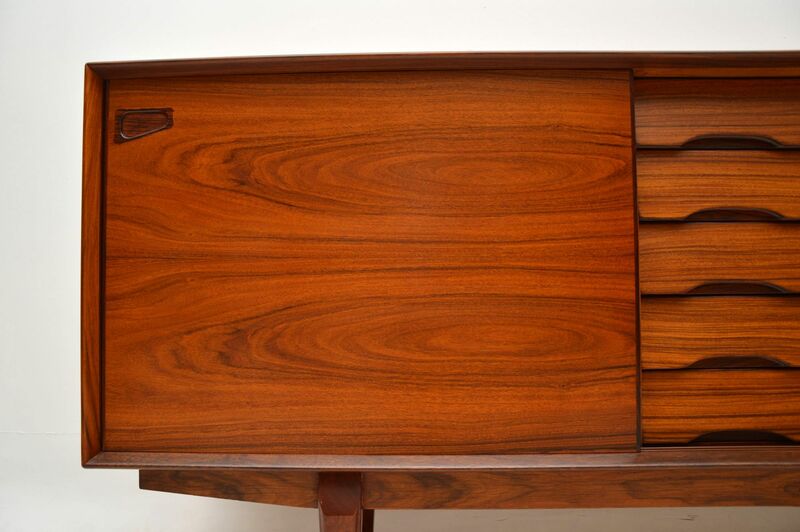 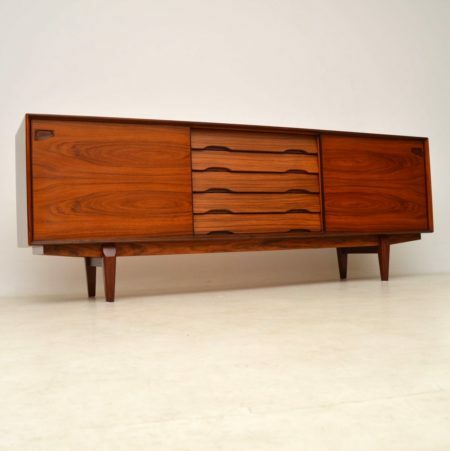 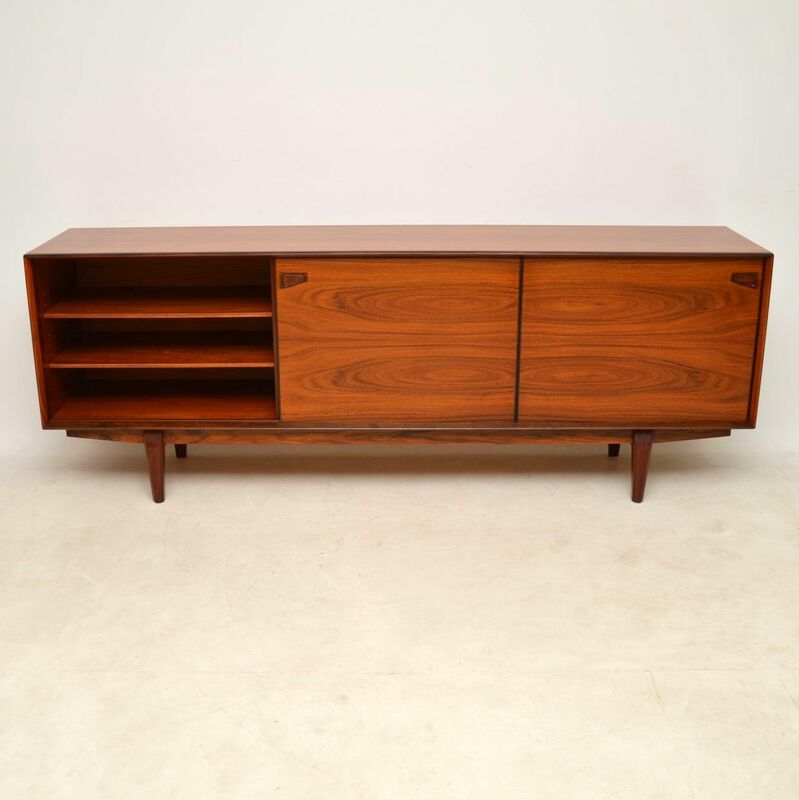 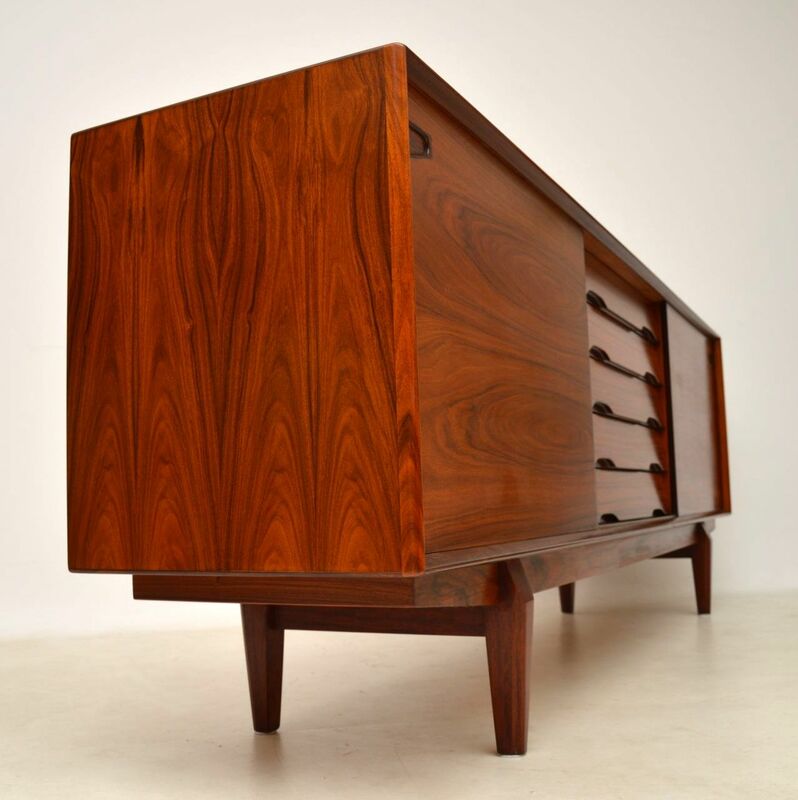 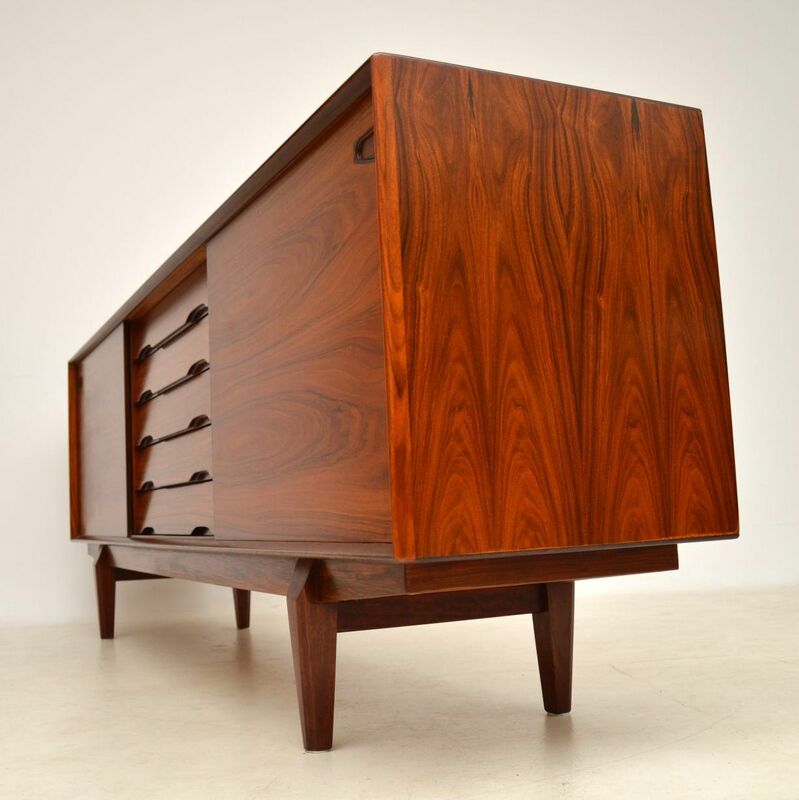 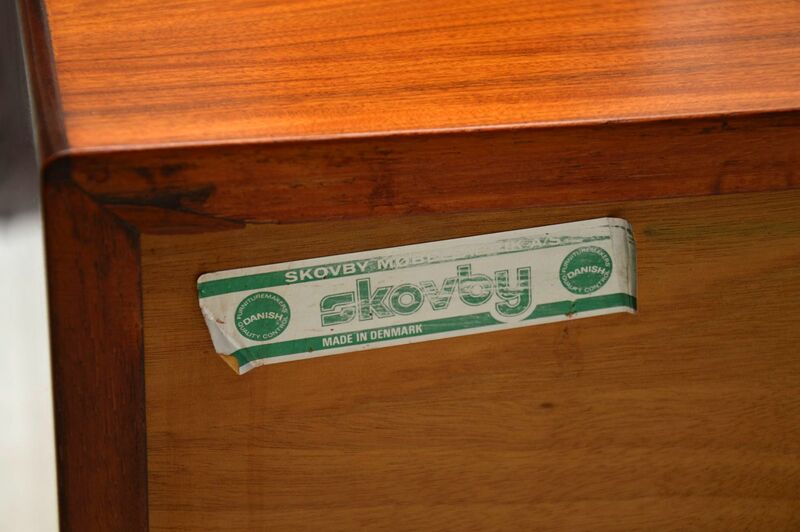 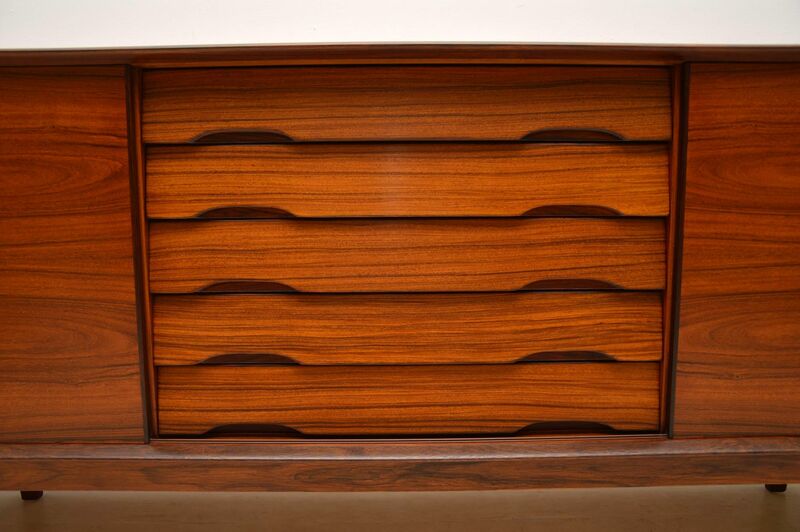 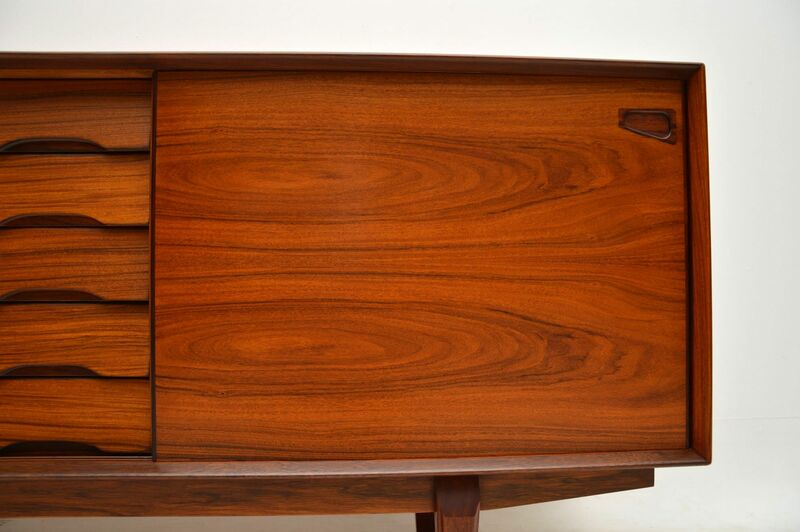 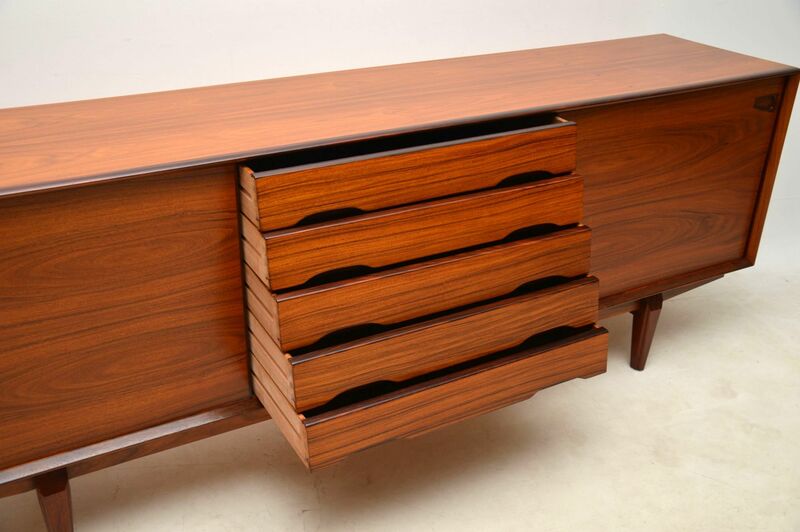 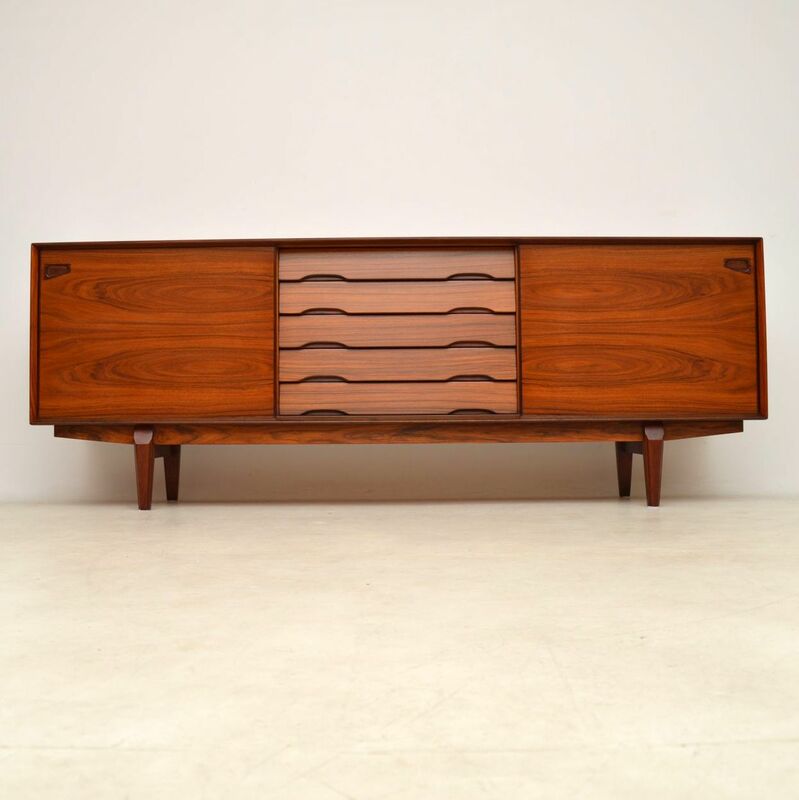 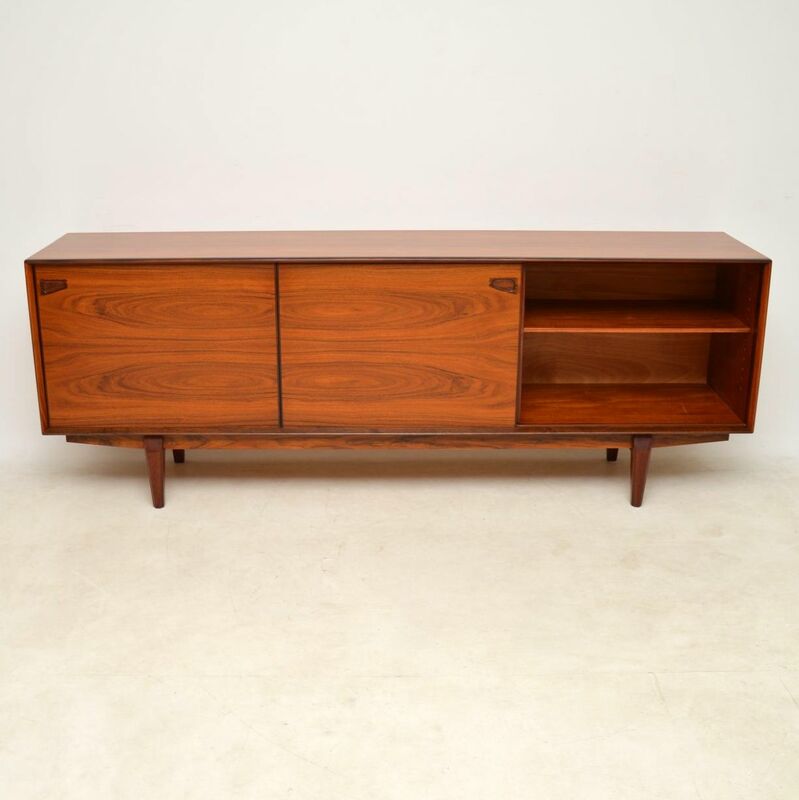 A magnificent vintage Danish sideboard in rosewood, this dates from the 1960-70’s and was designed by Henry Rosengren Hansen for Skovby. 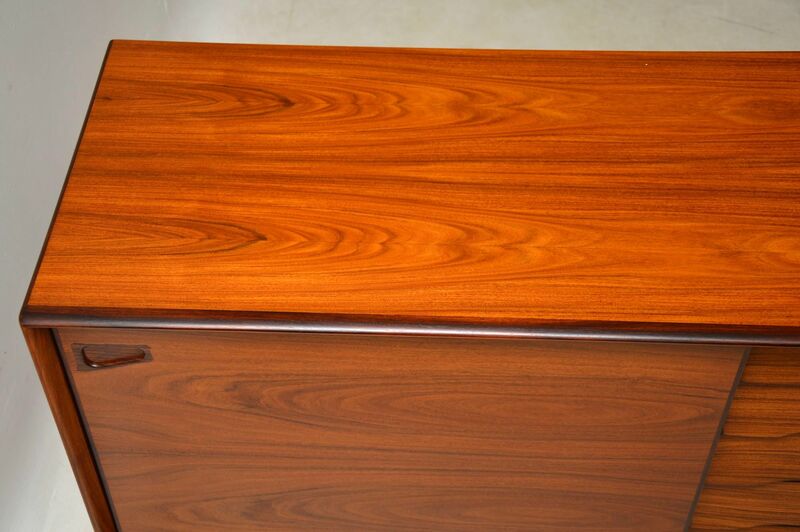 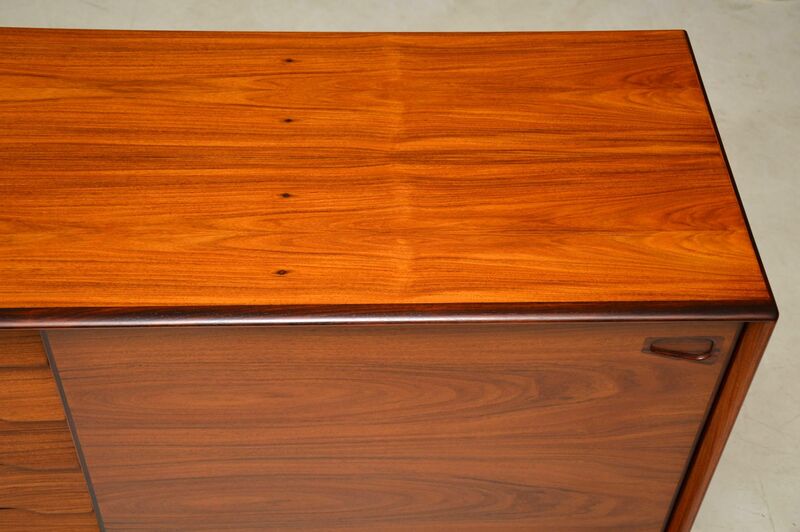 It’s of amazing quality, with stunning rosewood construction throughout. 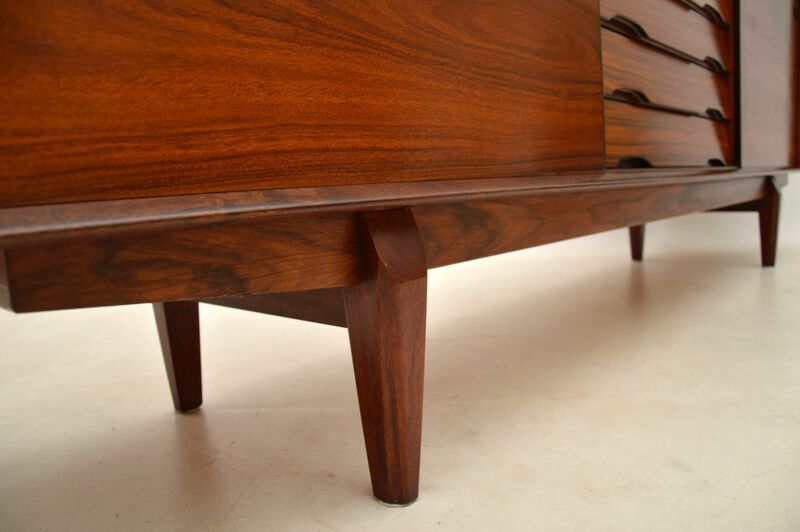 The grain patterns and colour are simply beautiful, this looks amazing from all angles. 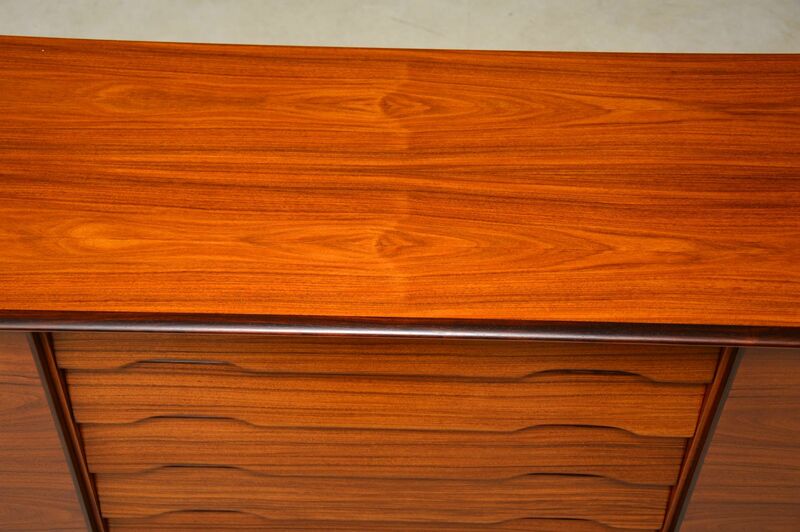 We have had this stripped and re-polished to a very high standard, the condition is superb.